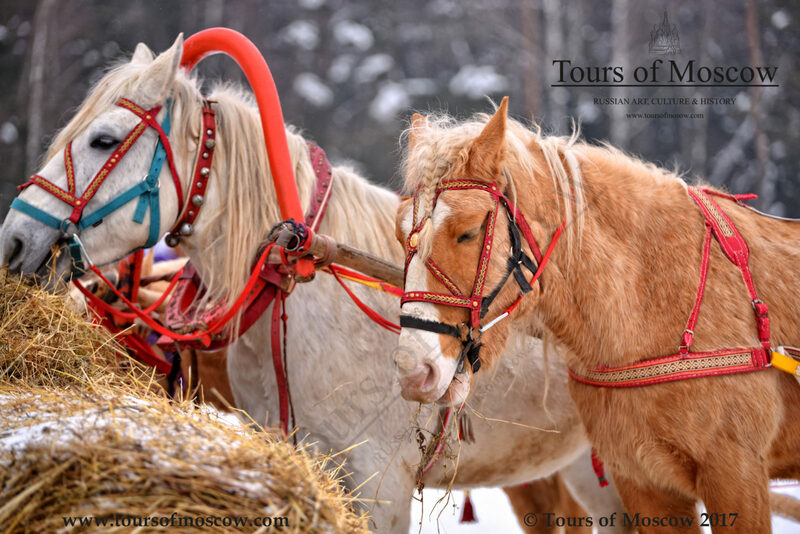 A troika is a traditional Russian harness driving combination, using three horses abreast, pulling a sleigh. The centre horse is harnessed in a collar and shaft bow and the two adjacent horses are in breast collar harnesses. 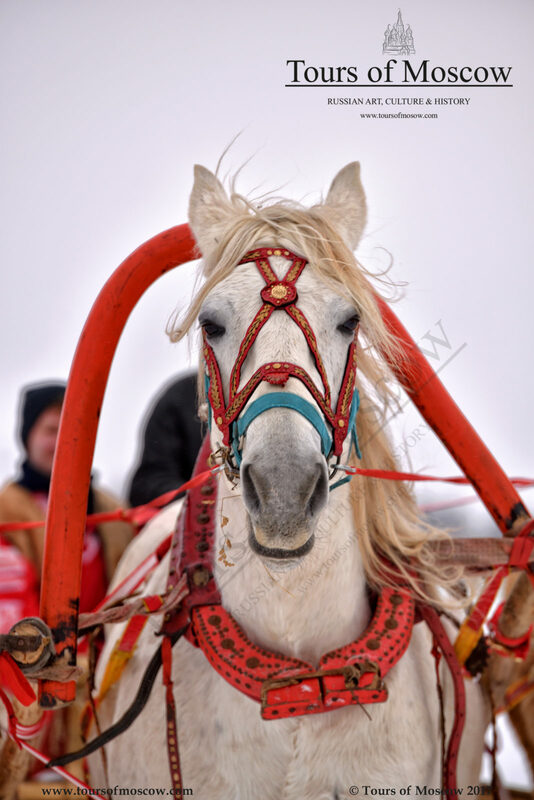 A troika is the only harness combination where the horses have a different pace. Normally the middle horse trots and the two side horses canter. 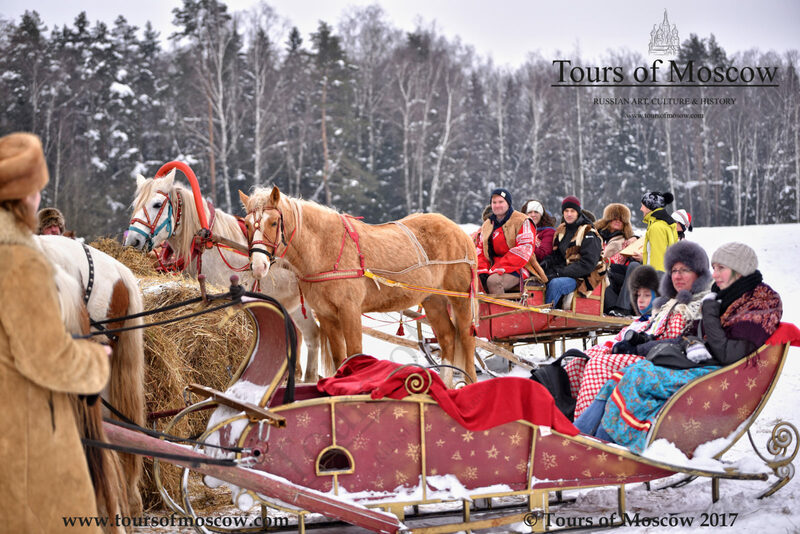 The troika was developed in Russia during the 17th century, first used for mail delivery and then, by the late 18th century it was used as a Russian stage-coach. Tired horses could be exchanged thus transporting people and freight over long distances. During the Russian Empire, the upper classes would use a troika. They were also common at major religious celebrations and weddings. 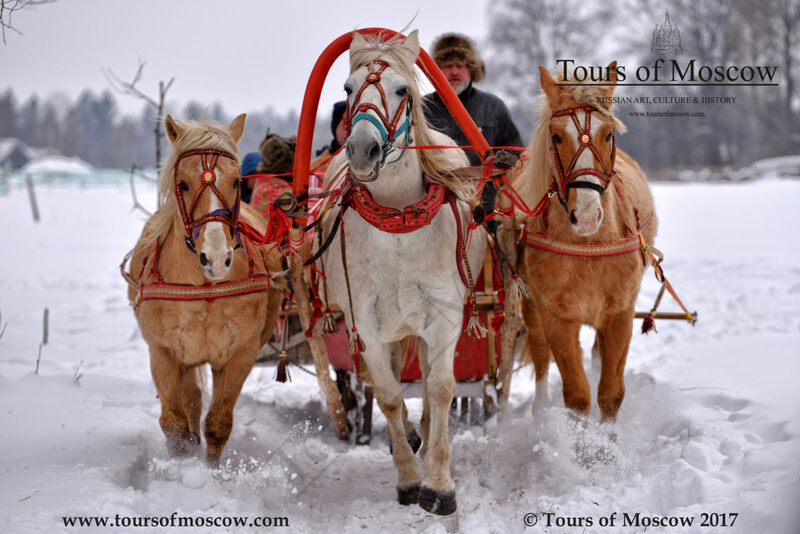 Whilst we under metres of snow and enjoying the Russian winter, we have the opportunity of taking a troika-ride ourselves.